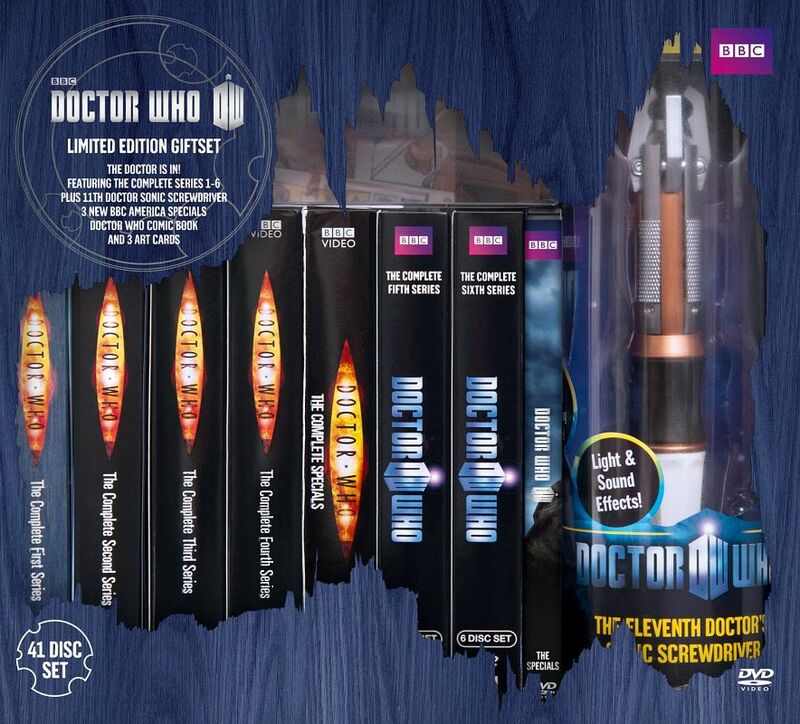 Note: Massive US-exclusive box set containing the previously-released series 1-6 DVDs, plus 3 exclusive new-to-DVD special features and other goodies. The exclusive features are 3 specials which aired on BBC America in August 2012: The Women of Doctor Who, The Timey-Wimey of Doctor Who, and The Destinations of Doctor Who. Although US-exclusive at the time, since then these documentaries have also been released in Australia as part of The Best of the Doctor 2005-2011 box set. Publisher's description as follows: This limited edition Doctor Who collector's box will be the ultimate holiday gift for Doctor Who fans! It includes the complete seasons 1-6 covering the 9th, 10th and 11th Doctors (Christopher Eccleston, David Tennant, and Matt Smith), over 70 hours in all, plus hours and hours of bonus features including 3 new Doctor Specials coming to DVD for the first time ever. 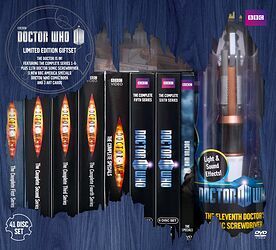 The set also includes a collectible 11th Doctor Sonic Screwdriver, 3 original art cards and the comic book, "Doctor Who at Comic Con."